If you want to consolidate your learning about the world you live in as well as the family you belong to, here you have the following links, charts, and exercises which will provide some helpful ways to help strengthen your knowledge about your current and extended family. Put the names in the right boxes! 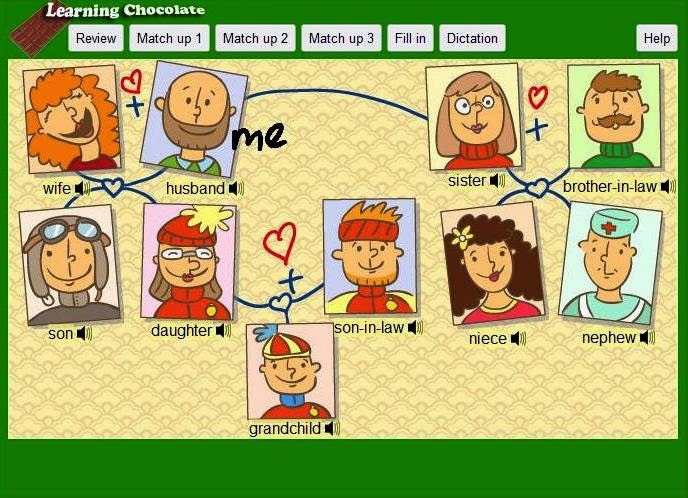 A game to practise family vocabulary (father, mother, brother, sister, grandfather, grandmother, uncle, aunt, cousin...) as well as to practice pronunciation.